This is the adorable moment a deaf five year old girl received a doll just like her with hearing aids. Abbi Keating, from New South Wales, Australia, lost her hearing at two years old – something that baffled doctors as she also stopped talking. 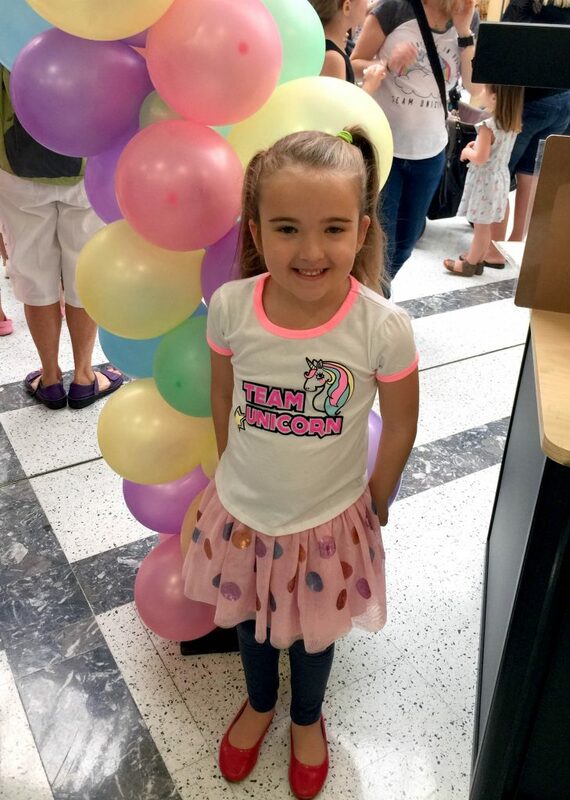 Her mum, Amy, 31, was devastated but quickly ensured her daughter was fitted with hearing aids and later underwent an operation to have a cochlear implant fitted – an electronic device that replaces the function of the ear. Abbi longed for a doll just like her and spent hours drawing hearing devices onto her dolls with pen. But after researching online, Amy finally found an affordable ‘Just Like You Doll,’ and designed a doll for her daughter. She decided to film the moment Abbi opened her surprise doll – and the pair have been inseparable ever since. 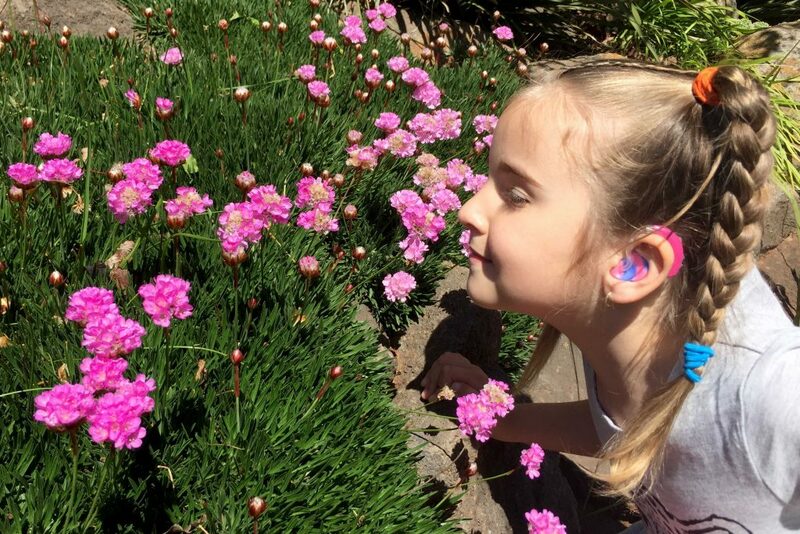 Amy, a full time mum of three, said: “After Abbi’s hearing aid and cochlear implant were fitted, I was desperate to buy Abbi a toy that had them too. “When I found an affordable one online, I knew it would be too adorable not to film the moment on camera. “She lets out a huge squeal before smiling at looking at her new doll. “Abbi has since been inseparable with her doll and we’ve now ordered another, the hearing aids even come off just like hers do. “Doctors think Abbi’s deafness is due to a syndrome called Large Vestibular Aqueduct which causes the inner ear become swollen and enlarged. Abbi started speaking again after receiving her hearing devices and now uses a combination of lip reading and Australian sign language, Auslan, to communicate. Mum, Amy said: “Abbi has her own Facebook page as she loves sharing Auslan with others. “She is a very good lip reader and since having her cochlear implant fitted aged three, she began talking again. “Abbi fell ill at around seven months old and it was soon after that she stopped talking. Amy contacted Just Like You Dolls, in August this year after a therapist spotted their services online. She added: “I was really happy with their affordable prices as somewhere asking for $120 (£70) for one doll. “Just Like You Dolls start at $25, which is a bargain. “I chose it to have the exact same hearing equipment as Abbi. “Abbi had wanted a doll that looked like her for ages and I was thrilled when only two weeks after ordering it we could collect it. “I had two dolls made, one soft cuddly one and another practical doll that looked more realistic. Abbi now uses her doll to educate her cousins and friends about her hearing. 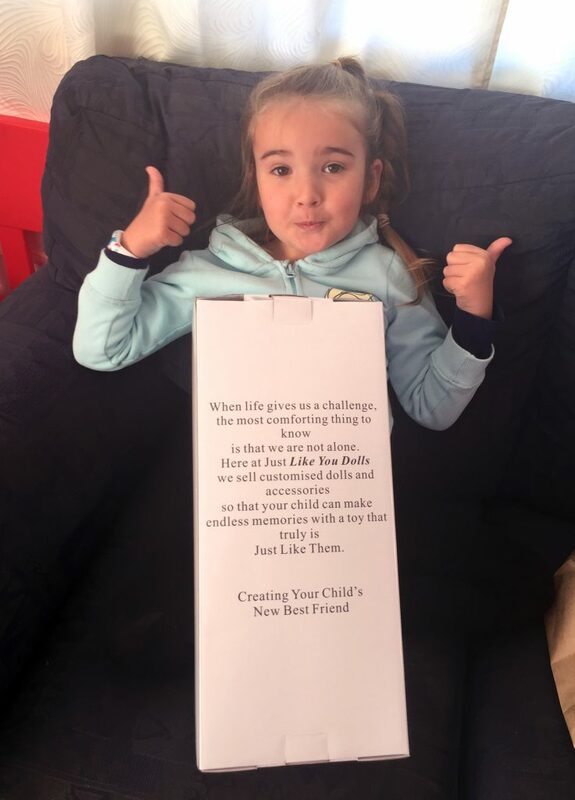 Amy said: “It’s a lot easier explaining Abbi’s condition through using the dolls as we can take off her cochlear implant and reattach it so show the kids how it works. “Abbi has been inseparable with her cuddly doll since she received it on August 30. “I’d recommend any parents to buy a doll like this as it has made Abbi so happy, she finally has something she can relate to. “Just Like You Dolls also have a range of books that feature disabled children too.